Work was different today. After work the light was good but it was windy, this is probably the best picture I managed. After dinner it was the biodiversity meeting in the village, so it's a late upload. 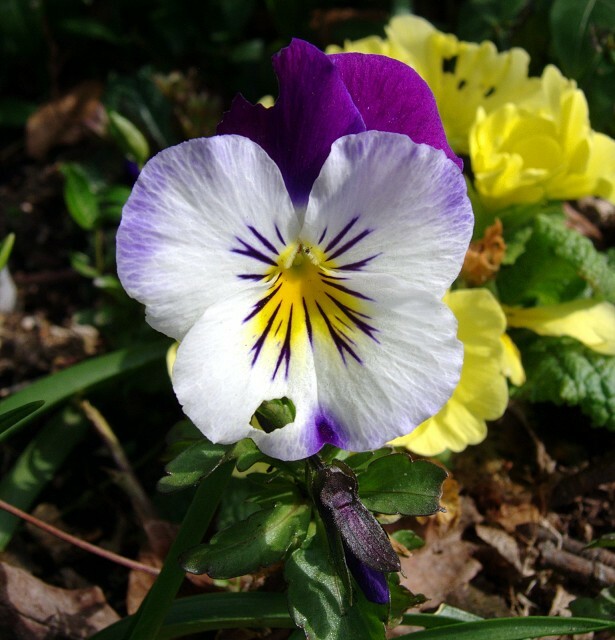 Today's blip is a pansy of some sorts, it looked very nice when I took it's picture, it's only when I got it home that I noticed that someone has taken a bit out of it!